ENJOY LEASE PROTECTION BENEFITS, HEALTH AND WELLNESS DISCOUNTS, DINING, SHOPPING & CONSUMER SAVINGS. 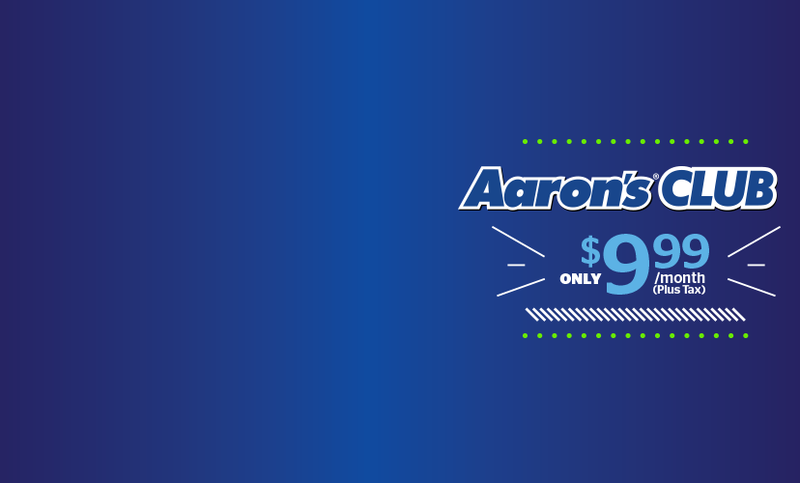 Aaron’s Club is a convenient program that offers valuable protection for your lease AND for your family. Browse the full list of benefits below. Benefits may vary by state and in Canada. Not all members are eligible for all benefits. Aaron's Club is not offered in Washington. For more information including important disclosures, limitations and restrictions of the benefits, see a store associate for membership materials. Scroll down for Puerto Rico Version. This benefit may help you with your lease payment(s) in the event you are fired, involuntarily laid off or suspended, out of work due to a company strike, labor dispute, or if your place of employment closes. Members are eligible for payment waivers if they were employed full time (at least 30 hours per week) for 6 consecutive months prior to first becoming involuntarily unemployed. The member’s lease payment(s) will be waived for up to four months, when a maximum of $1,000 is paid for all lease agreements combined, or until they return to work (whichever occurs first). Payment Waivers apply to the member(s) who are listed on and have signed the lease agreement(s). Must be a member in good standing at the time of unemployment. Must be unemployed for a minimum of 30 days to become eligible for a payment waiver. Please note that not all members are eligible for all benefits. 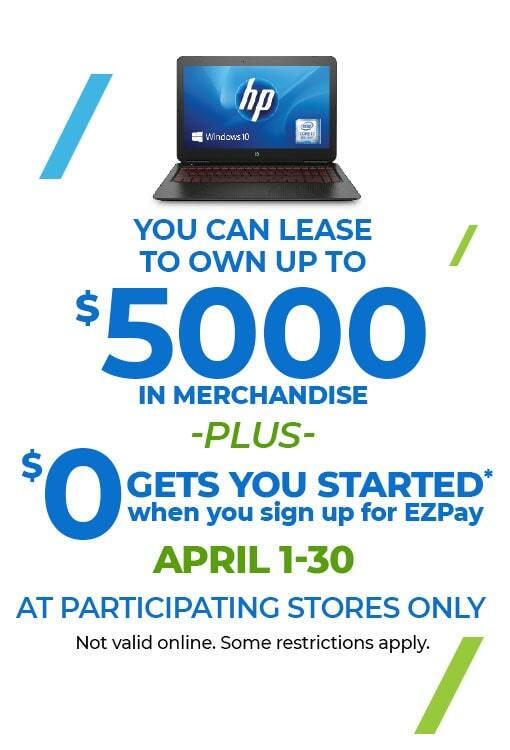 See below for additional Exclusions and Restrictions that apply for this benefit. Lease agreement(s) executed on or after the first day of unemployment. Unemployment due to death, or any situation of disability, sickness or disease. Off work on family leave or during pregnancy and childbirth. Voluntarily quitting, resigning, retiring or upon having an employment contract expire. Termination as a result of incarceration, criminal misconduct as defined by local, state or federal law. Willful misconduct meaning a transgression of an established rule or conduct, a forbidden act, willful act of dishonesty or dereliction of duty. Receiving severance or termination pay from your prior employer. Self-employment or employed by a family member (including but not limited to spouse, parent, child or sibling) unless you have declared bankruptcy. Contract, temporary or seasonal workers that have completed the contract, temporary or seasonally scheduled job as planned and expected or as customary for that type of work. Employee of an educational facility that is on a routine, planned or scheduled break. If you were not a member prior to becoming involuntarily unemployed. If you had notice of pending unemployment prior to becoming a member. Involuntary Unemployment Waivers filed after 90 days from the date of loss. This benefit may help members with their Lease Contract with Purchase Option (Lease Contract) payment(s) in the event they are fired, involuntarily laid off or suspended, out of work due to a company strike, labor dispute or if your place of employment closes. Members are eligible for payment waivers if they were employed full time (at least 30 hours per week) for 6 consecutive months prior to first becoming involuntarily unemployed. The member’s Lease Contract(s) will be waived for up to four months, when a maximum of $1,000 is paid for all Lease Contracts combined or until they return to work (whichever occurs first). Payment Waivers apply to the member(s) who are listed on and have signed the Lease Contract(s). Lease Contract(s) executed on or after the first day of unemployment. Termination as a result of incarceration, criminal misconduct as defined by local, state or federal law. Willful misconduct meaning a transgression of an established rule or conduct, a forbidden act, willful act of dishonesty or dereliction of duty. Receiving severance or termination pay from their prior employer. Self-employment or employed by a family member (including but not limited to spouse, parent, child or sibling) unless they have declared bankruptcy. Not a member prior to becoming involuntarily unemployed. Had notice of pending unemployment prior to becoming a member. Involuntary Unemployment Payment Waivers filed after 90 days from the date of loss. In the event of a covered accident or sickness, your monthly lease payment(s) will be waived including applicable sales tax and other covered fees. Members are eligible for payment waiver(s) if they were employed for at least 30 hours per week for six consecutive months at the time they became sick or injured. Payment waivers only apply to the first two persons listed on the lease agreement. Must be a member in good standing at the time you could not work due to injury or sickness. Any customer who was not a paid member of the program prior to becoming unable to work due to injury or sickness. Any lease agreement executed on or after the first day of injury or sickness. Unemployment due to pregnancy, childbirth, or elective surgery. Unemployment due to a mental disorder including but not limited to depression, stress, or nerves. Self-employment or employed by a family member (including but not limited to spouse, parent, child or sibling). Intentionally self-inflicted injury, including attempted suicide. If you are under the influence of alcohol or drugs except as prescribed by a doctor. When you are receiving sick, vacation or any other income from your employer. Disability as a result from an act of war or military service. Accident & Sickness Waivers filed after 90 days from the date of injury or sickness. In the event of a covered accident or sickness, a members monthly Lease Contract with Purchase Option (Lease Contract) payment(s) will be waived including applicable sales tax and other covered fees. The member’s Lease Contract payment(s) will be waived for up to four months, when a maximum of $1,000 is paid for all Lease Contract(s) combined, or until they return to work (whichever occurs first). Payment waivers only apply to the first two persons listed on the Lease Contract. Any Lease Contract executed on or after the first day of injury or sickness. Unemployment due to pregnancy, childbirth or elective surgery. If a member is under the influence of alcohol or drugs except as prescribed by a doctor. When a member is receiving sick, vacation or any other income from your employer. Accident and Sickness Payment Waivers filed after 90 days from the date of injury or sickness. Helps protect the member’s leased merchandise in the event of fire and smoke damage, windstorm, hail, lightning, flood damage, and theft* (“Qualifying Events”). * For a covered loss the merchandise must be removed from a locked and secured building with visible signs of forced entry to the exterior. For Qualifying Events, provides repairs or replacement merchandise and allows members to initiate a new agreement at the same rate and remaining term so they can continue to lease towards ownership without penalty, should they suffer a covered loss. Protection is in effect as long as you are leasing a product and your lease payments and membership fees in the program are paid current. >Loss or damage due to misuse, abuse, neglect, vandalism, normal wear and tear, mysterious disappearance and/or abandonment. Product Protection Waivers filed after 90 days from the date of loss. 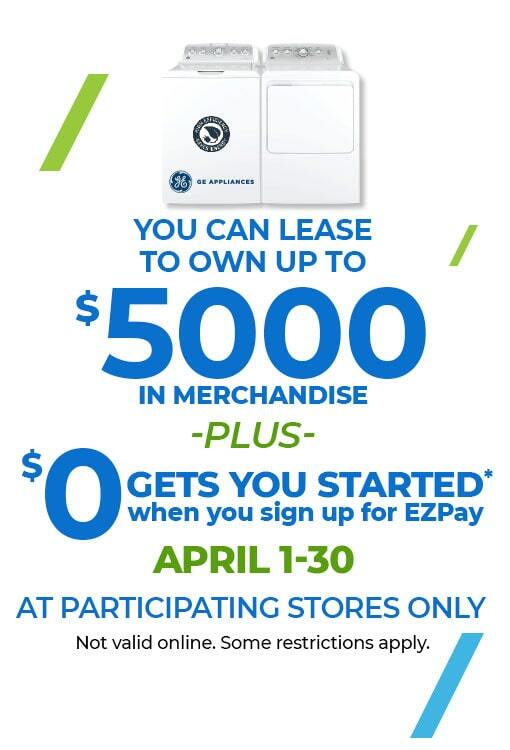 Allows a member to lease replacement merchandise with a discounted ownership plan so they can continue a Lease Contract with Purchase Option (Lease Contract) without starting over should the member suffer a loss resulting from fire and smoke damage, windstorm, hail, lightning, flood damage, and theft* (“Qualifying Events”). For Qualifying Events, a new Lease Contract will be opened on same or comparable product with the same monthly payment and an ownership plan equal to the number of months remaining on the original Lease Contract. Protection is in effect as long as you are leasing a product and the Lease Contract payment(s) and membership fees in the program are paid current. Loss or damage due to misuse, abuse, neglect, vandalism, normal wear and tear, mysterious disappearance and/or abandonment. Rental Replacement Waivers filed after 90 days from the date of loss. The remaining lease payment(s) will be waived in the event of the death of any member named on the lease agreement(s). Must be a program member in good standing for 90 consecutive days before eligibility begins. Eligibility will remain in effect as long as payments are current on the lease agreement(s) and the membership program. Must be a member in good standing at the time of the member’s passing. Suicide and/or drug overdose unless said overdose is while under the care of a licensed physician. A member’s death as a direct result or action of a family member or any person(s) listed on the lease agreement(s). Courtesy Waivers filed after 90 days from the date of loss. The remaining Lease Contract with Purchase Option (Lease Contract) payment(s) will be waived in the event of the death of any member named on the Lease Contract(s). Must be a program member in good standing for 90 consecutive days before eligibility begins. Eligibility will remain in effect as long as payments are current on the Lease Contract(s) and the membership program. A member’s death as a direct result or action of a family member or any person(s) listed on the Lease Contract(s). Members receive extended merchandise service protection for up to one year after the leased merchandise is paid off. 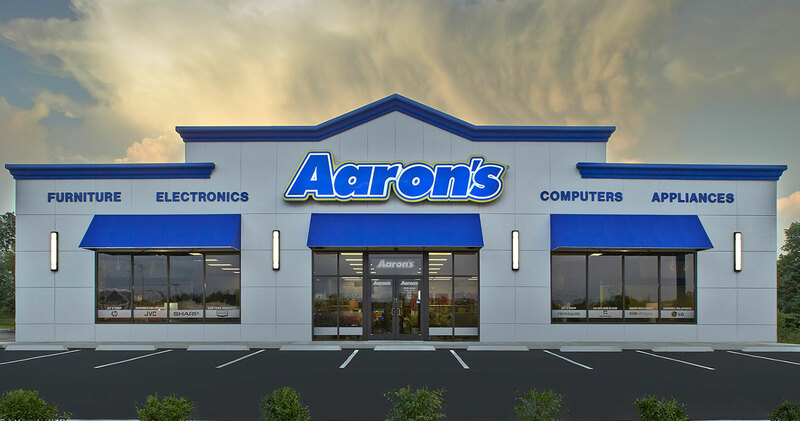 **The Aaron’s Plus Limited Warranty is not available to residents of NC. Coverage in NC begins at pay-out and continues as long as you maintain your membership, up to one year. Protection is provided against product failure and mechanical breakdown of the merchandise, not caused by external conditions. 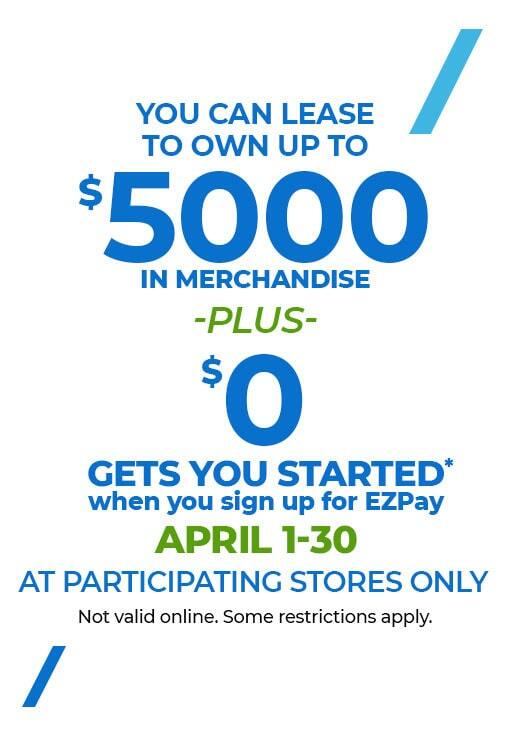 Only one membership in the program is required for all paid out items to be covered. This coverage applies to home electronics, appliances, computers and furniture. This benefit covers all mechanical or electrical failures unless caused by accidents, lightning or other outside influences, including but not limited to insect infestation or the introduction of foreign substances to the product. Examples of items not covered include (but not limited to) phones, jewelry, mattresses, paintings, small electronics, iPods and similar MP3 players, clocks exercise equipment, toolboxes, lawn mowers, items with an internal combustion engine and similar type merchandise. Computer failure due to a computer virus or software you have personally installed. Restoration or updates of any software. Adaptors, chargers, power cords or any type of external components. Laptop batteries not holding a charge after 24 months from the original purchase date. Product repair for merchandise damaged by abuse, fire, flood, water, windstorm, hail, lightning, earthquake, theft, insects, vermin or other external causes. Normal maintenance procedures or defects resulting from customer’s failure to perform such maintenance procedures including any type of cleaning. Maintenance items including but not limited to items such as bulbs, filters, the refinishing or replacement of belts, hoses, cabinets, cabinet parts; plastic, porcelain or decorative parts; or any cosmetic damage. Replacement of any remote control. 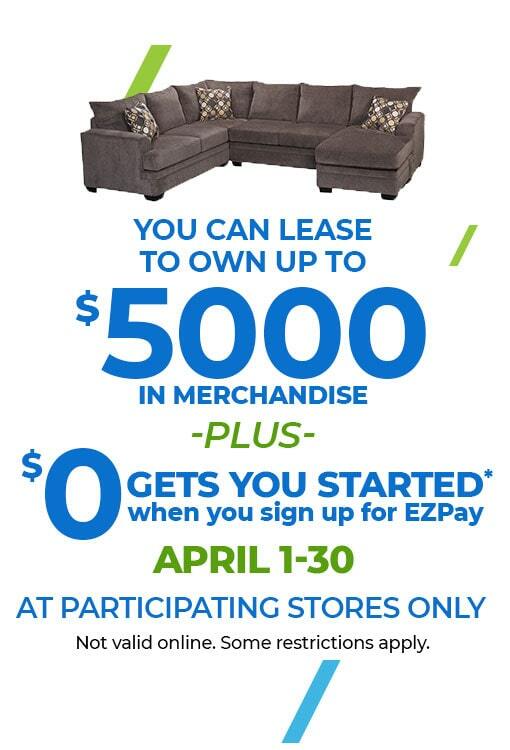 *This benefit is only available after you obtain ownership of leased merchandise for up to one year and while you remain a member. 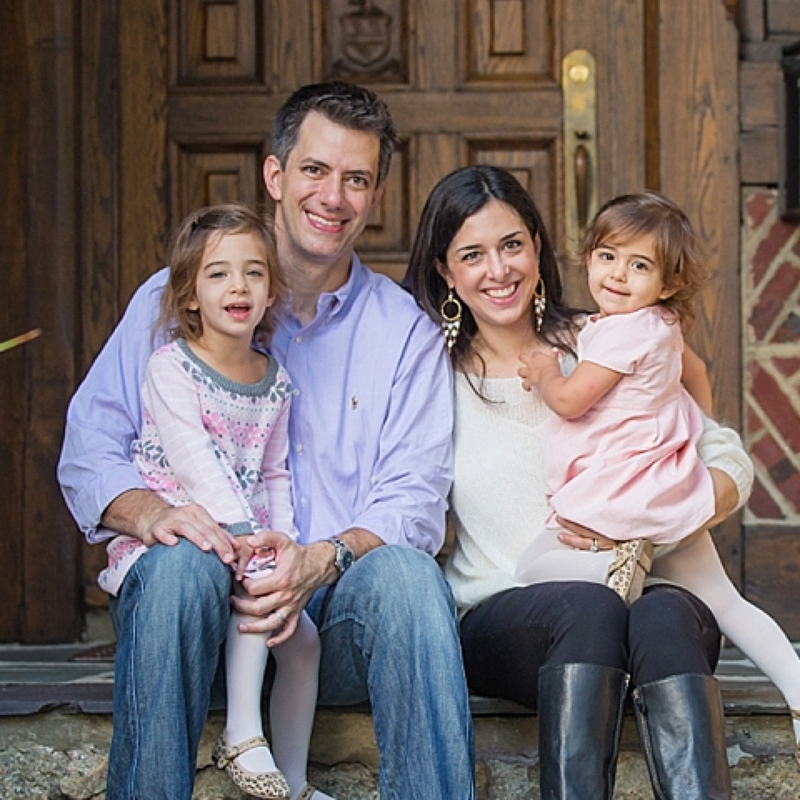 Aaron’s Club members and their immediate family will have round-the-clock access to licensed physicians for telephone consultations. Members and their immediate family can save an average of 15% - 50% on their dental needs by visiting one of the participating dentists. Members and their immediate family can save 15% - 60% on the cost of prescription drugs at participating pharmacies. To help a member and their immediate family save 30% - 70% on prescription drugs, our unique mail-order program complements the retail pharmacy benefit. Since most maintenance medications are purchased in 90-day supply, members maximize savings while enjoying the convenience of home delivery through the mail. Members and their immediate family can save 35% off normal retail prices on frames (complete pair) and 20% off lens add-ons at participating locations. If you need a physician or hospital, our specially trained staff can assist you with locating a provider, scheduling appointments and even the negotiation of medical costs. 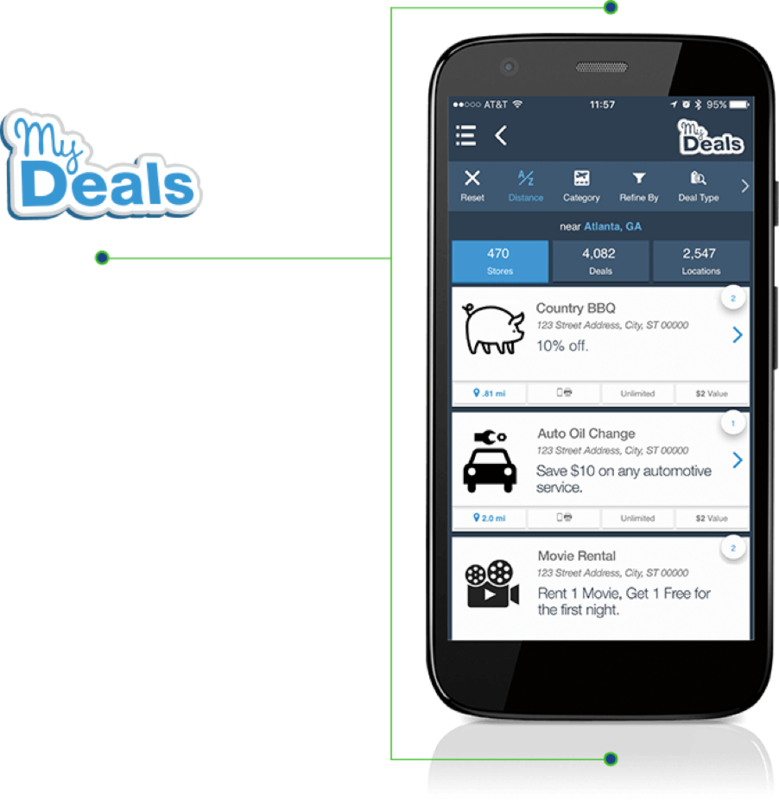 As a member, you can also enjoy exclusive discounts through the My Deals app! Members can download a free mobile app to enjoy savings on the go for up to 50% off for thousands of merchants nationwide. Receive additional savings, as well as grocery coupons, through the website. Save from 5% - 15% when you go to a participating Jiffy Lube®, Meineke®, AAMCO® or MAACO®. Simply show your membership card at the time of service and you will save on specific services performed. Members can save money whenever you need to rent a car from AVIS®, Hertz®, National®, Alamo®, or Budget®. It’s as simple as making a phone call or going online and providing the appropriate code included in your membership material. As a member, you can save 15% off the published lodging rates at participating Choice Hotels®. Simply go online or call the toll-free number to make your reservation. Your membership materials contain the special code you need to provide and a complete listing of participating hotels. Members receive a free consultation with a network attorney, discounts on services and much more. If a member’s vehicle is inoperable due to a collision, and you are 100 miles or more away from home, this benefit may reimburse you up to $100 per day for three days to cover specific travel expenses. As a member, you’ll enjoy concierge services at no extra cost, giving you 24/7 access to ATM locations, tee times, restaurant locations, stock reports, traffic alerts, sports scores and more. This benefit offers a $2,500 reward to the person who provides information that leads to the arrest and conviction of the person who is responsible for the theft of the member’s vehicle. Find out how you can get started and take advantage of all these benefits. *Required fields have an asterisk. Select your area(s) of interest. 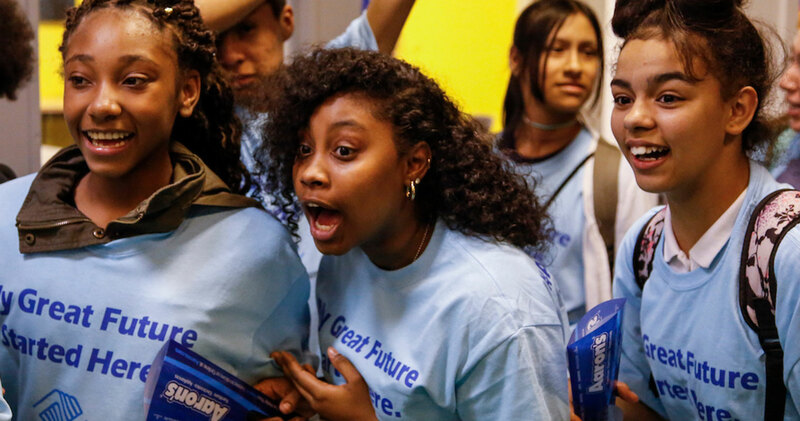 The discount medical, health and drug benefits (The Plan) are NOT insurance, a health insurance policy, a Medicare Prescription Drug Plan or a qualified health plan under the Affordable Care Act. The Plan provides discounts for certain medical services, pharmaceutical supplies, prescription drugs or medical equipment and supplies offered by providers who have agreed to participate in The Plan. The range of discounts for medical, pharmacy or ancillary services offered under The Plan will vary depending on the type of provider and products or services received. The Plan does not make and is prohibited from making members’ payments to providers for products or services received under The Plan. The Plan member is required and obligated to pay for all discounted prescription drugs, medical and pharmaceutical supplies, services and equipment received under The Plan, but will receive a discount on certain identified medical, pharmaceutical supplies, prescription drugs, medical equipment and supplies from providers in The Plan. The Discount Medical Plan Organization is Alliance HealthCard of Florida, Inc., 2711 North Haskell Avenue, Dallas, TX 75204. You may call 1-800-863-6617 for more information or visit aaronsclub.mymemberguide.com/locate for a list of providers.The Plan will make available before purchase and upon request, a list of program providers and the providers’ city, state and specialty, located in the member’s service area. The Plan includes a 30-day cancellation provision.